Little is actually known about this particular guitar. 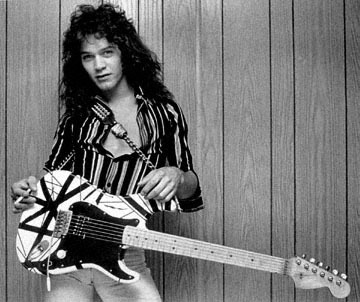 When Eddie Van Halen was in the process of recording the second Van Halen album, Van Halen II, he wanted something that would be different to his original Frankenstrat. 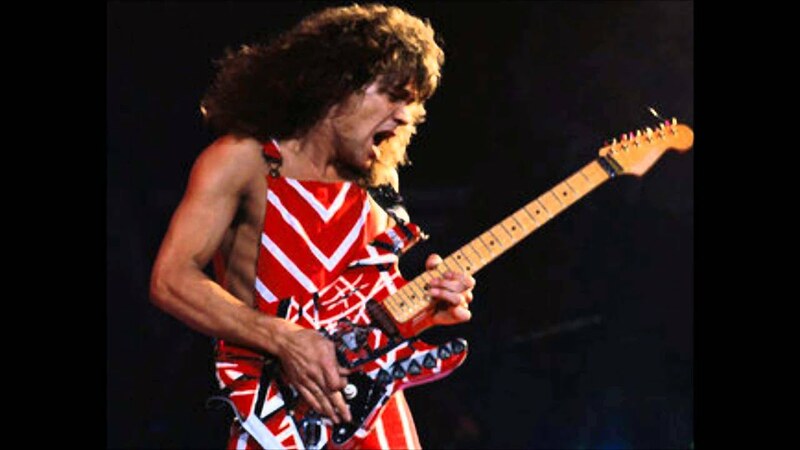 Since the release of the first Van Halen album, copycats began emerging trying to emulate not just Eddie’s playing but also his original Frankenstrat. 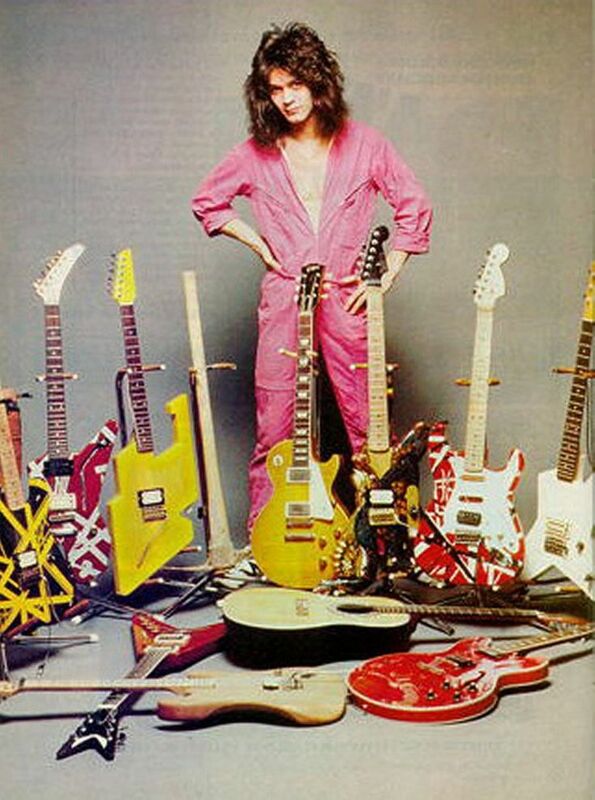 In an attempt to remedy this, he created the “Bumblebee”, more or less the same sort of guitar that the Frankenstrat was, including the same type of neck on the guitar, constructed at the Charvel factory. But there was one large difference. Initially a Fender Vintage Tremolo was installed. But Eddie made rock history when he became the first ever professional rock guitarist to use a Floyd Rose tremolo system on the guitar1. Floyd Rose is an interesting addition to the Van Halen story, but one that is often overlooked. 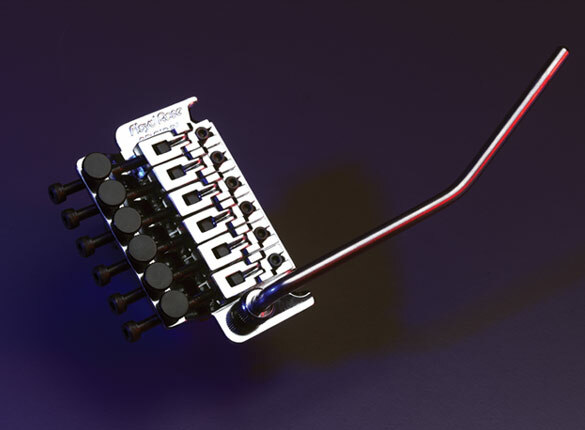 Floyd Rose began by playing a Fender Jazzmaster as his first guitar with a tremolo bar, but after experiencing severe problems using the tremolo bar and arm itself, he sought out a solution. He managed to develop a couple of crucial modifications to a standard tremolo system: inserting a ¼ inch steel bar in place of the whammy bar (which he tested and did not break); and changing some of the string arrangements on the tremolo. Although these were not the only modifications that he did, it did begin exploration of a device which could be a usable tremolo system. 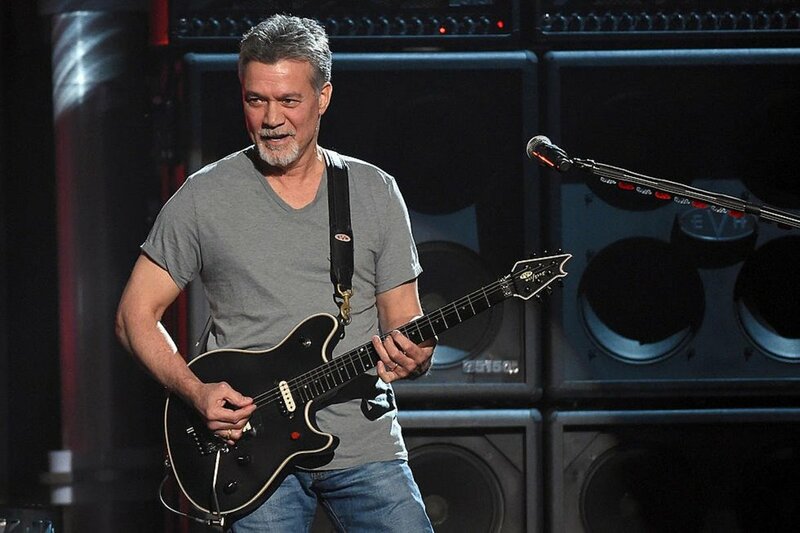 Over the years various improvements of the tremolo system emerged but Eddie Van Halen was the first notable guitarist to use it on the VH2 “Bumblebee” guitar, which made both become even more notable in rock history2. There was also the Charvel story. 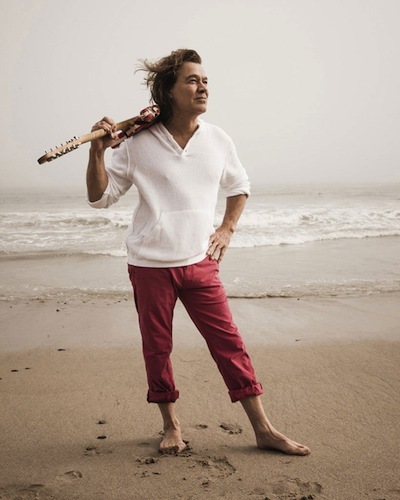 Eddie used to visit the Charvel guitar shop in Los Angeles to pick up parts and seek advice on building his own guitars. 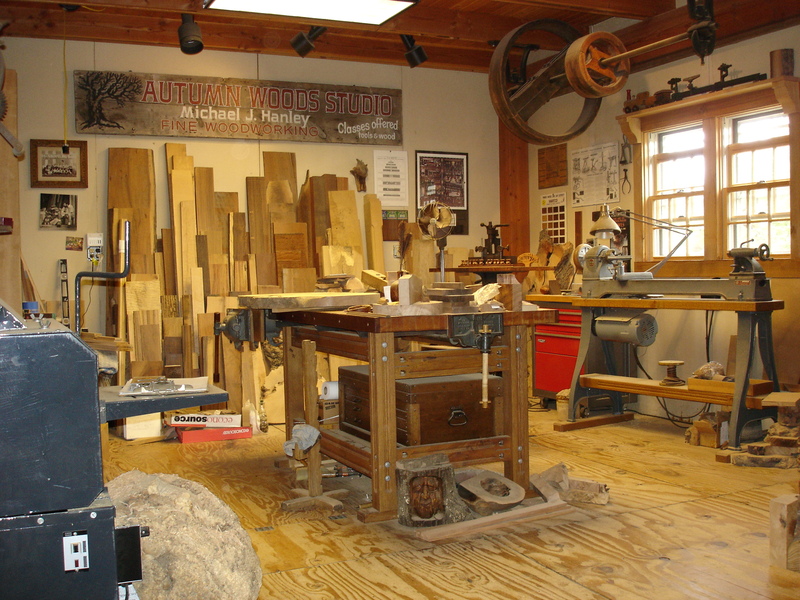 Wayne Charvel himself confirmed that he made the VH2 guitar for Eddie in his guitar factory. However Wayne Charvel later sold the business to Grover Jackson. A fallout ensued later between the new Charvel administration and Van Halen, with the matter being settled legally3. 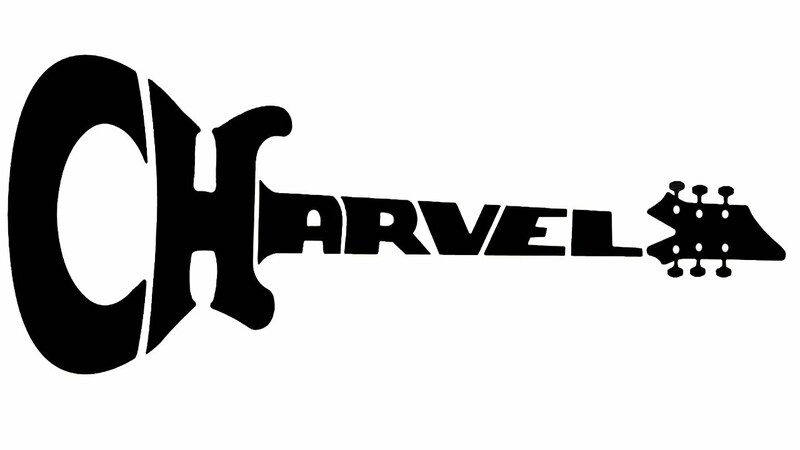 Charvel and co. played an important part in the sound of early Van Halen. On a sadder note, when ‘Dimebag’ Darrel Abbott passed away, Eddie placed the guitar with him in his burial place, after hearing that Dimebag himself loved the guitar. Dimebag loved the VH2 guitar, stating it was his all time favourite. The EVH Striped Series is the best bet for a close copy of the VH2 guitar. 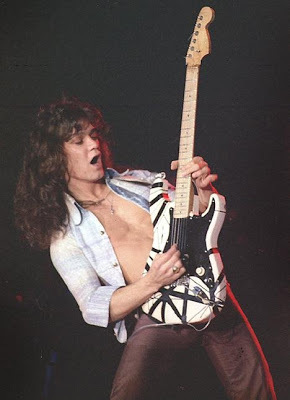 Once again, little information exists on this particular guitar as it is not as well-known as other Eddie Van Halen guitars such as the Frankenstrat or otherwise, but is still worth exploring the sound and tone of it on the Van Halen II album. For this reason, it is still relevant exploring today. 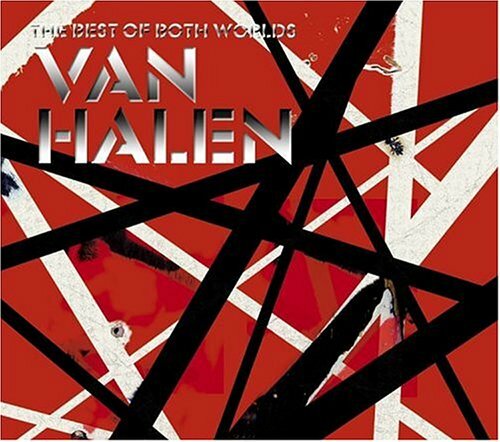 Van Halen 2 is a remarkable exploration in sound and tone, and the VH2 guitar reflects this. 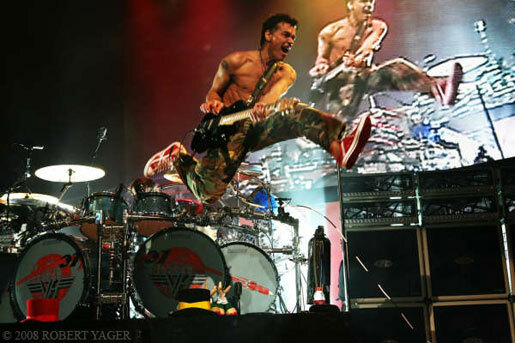 It is crucial in the Van Halen back catalogue. This entry was posted in Guitar, Music, Rock, Sound, Technology, Van Halen and tagged Bumblebee, Charvel, Eddie Van Halen, Electric Guitar, EVHGear, Floyd Rose, Striped Series, VH2 on December 24, 2014 by chrisairey01. After some time, Eddie’s continuing development on the guitar itself meant that he sought out models other than the Gibson Les Paul as he was pursuing the sound that he desired. He was interested in using the tremolo system that is available on some guitars, and quickly sought out a Fender Stratocaster, notably for the tremolo arm. Eddie was interested in using the tremolo arm to change the sound of the guitar and expand it as he saw fit. Indeed, Ed’s music involves some often rather unnoticed tremolo techniques, most noticeably though the dive bomb. Indeed, Eddie referred to in a 1979 interview as “like another instrument1” which is a very accurate statement of what the tremolo arm is used for. The Fender Stratocaster is necessary for those who wish to explore this step. Once again, Ed may have been following developments in what he was listening to at home. Many famous guitars players such as Jimi Hendrix, Ritchie Blackmore and Eddie’s big influence Eric Clapton all played Fender Stratocasters at some point. 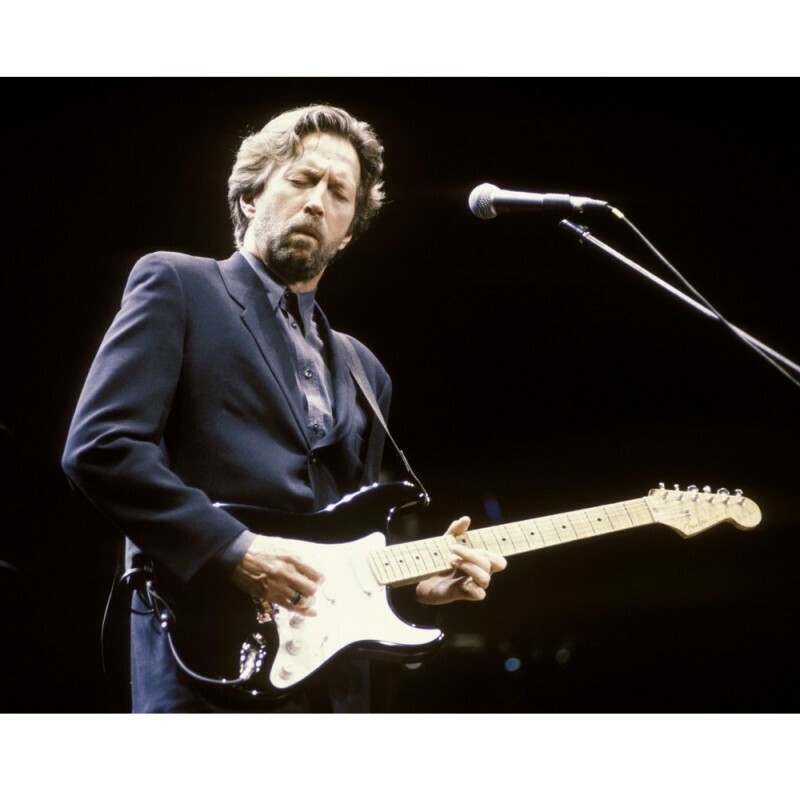 However, although the influence of many rock guitarists of the time may have influenced Eddie, it was most likely the Eric Clapton influence once again who shaped this choice as Eric Clapton had switched to the Stratocaster. As Clapton said: “I keep coming back to the Stratocaster because it’s so practical”2. Indeed it is still his main guitar of choice today. Eddie was probably looking up to Eric Clapton once again in his use of the Stratocaster, although not entirely as he was following his own journey as a guitarist. But perhaps it wasn’t the Clapton influence after all. Eddie has described himself many times as a “tone chaser”, so perhaps although he was fond of the sound of his Les Paul, he described it as “the clichéd rock and roll guitar”3. There is little information on why Eddie actually used the Fender Stratocaster for some time in the first place, apart from the use of a tremolo arm. 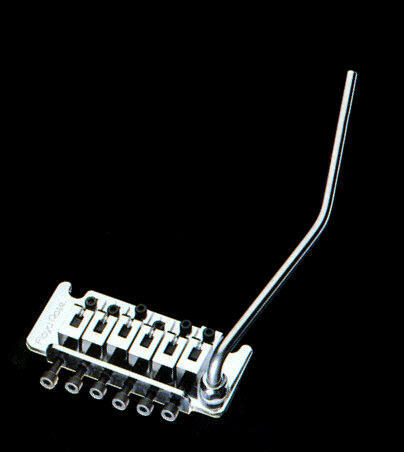 Indeed, it seemed almost purely that he used it for the tremolo arm. Still, he based his Frankenstrat and many other guitars on the construction of the Fender Stratocaster in later years. For now, however, we will focus on this guitar. The Fender Stratocaster is seen as (probably) the most popular rock guitar out there, and certainly the most iconic. There are a variety of Stratocasters out there, but if you want to follow this part of the Van Halen story, you ought to start out with the American Fender Stratocaster Standard, retailing at roughly $1 300 US4, though this really depends upon which model and customisations you are using. No matter the budget, it is not impossible to find a model that suits you. But remember if you are following Eddie himself, it is best to purchase one with a tremolo arm to explore further the sound that Ed was looking for. This generally is a bit more expensive (about $200-$300 US extra) so be prepared to open your wallet/purse a bit more for that. The reason I am adding these extensive lists is so that you can refer to them if you decide to build guitars of your own that are similar to Ed’s. Fender is one of the most recognised and most popular brands out there internationally for musical equipment. Another thing to add is that Eddie has actually used Fender Stratocasters for various recordings, such as Cathedral on Diver Down, and most recently for some of the tracks on the A Different Kind of Truth album. Although he rarely uses the Fender Stratocaster, the design and makeup of the guitar itself has been a large influence on Eddie to this day. The Gibson Les Paul Axcess Standard is basically a Les Paul with a Floyd Rose tremolo system. 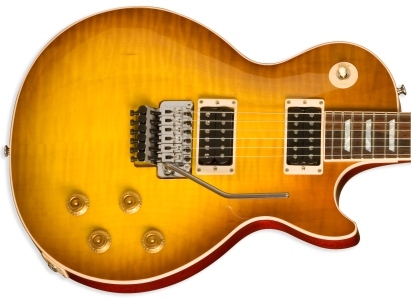 It retails at around roughly $4 000 US5 which is not very cheap, but worth checking out if you prefer the feel and style of the Les Paul, with the added Floyd Rose tremolo. The Floyd Rose wasn’t around when Eddie was first making music, only beginning operations in the late 1970s. Perhaps if Eddie were first starting out today, he would have used something like this. Worth exploring if you feel up to it. The Gibson Les Paul Axcess is an alternative to consider. The Fender American Standard Stratocaster HSS is basically the main Fender Stratocaster with a tremolo and a humbucker pickup made by Fender in the bridge position. It is a viable alternative to both the Stratocaster and the Frankenstrat that Ed later built. If you want to pick one up, it is $1 300 US6. 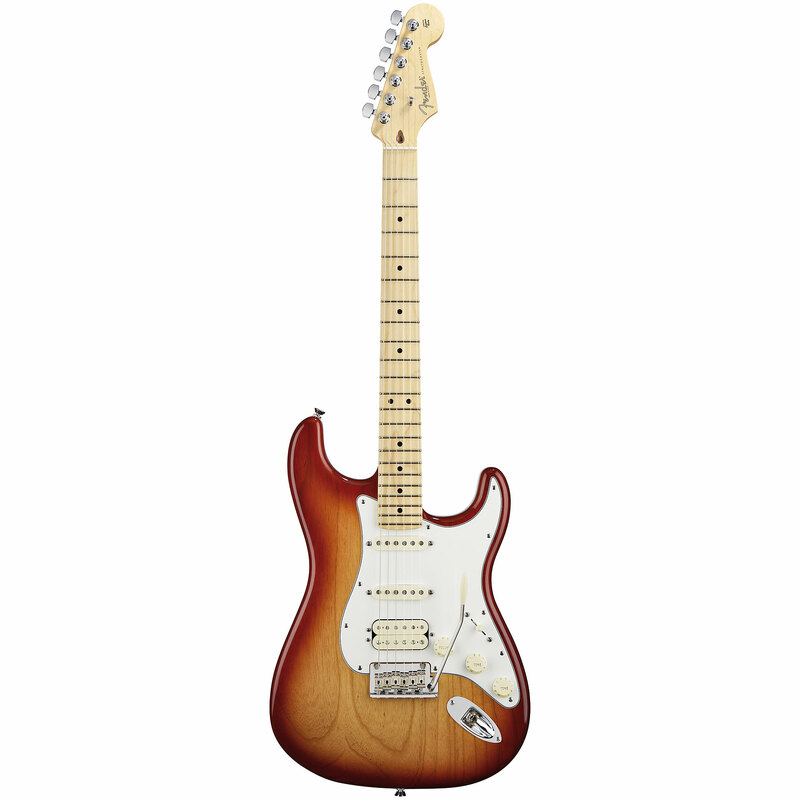 The Fender American Standard Stratocaster HSS is another good alternative. This guitar is much closer to what the Frankenstrat was in terms of sound, but not 100% so. It has the classic Floyd Rose tremolo that Ed has used in the majority of his guitars, meaning that the strings are much more likely to remain in tune. This one is quite cheap, at $700US7 so definitely worth checking out if you wish. The Standard Stratocaster HSS with Locking Tremolo is definitely a good alternative to Ed’s Frankenstrat if you are short on time and money to make your own Frankie. 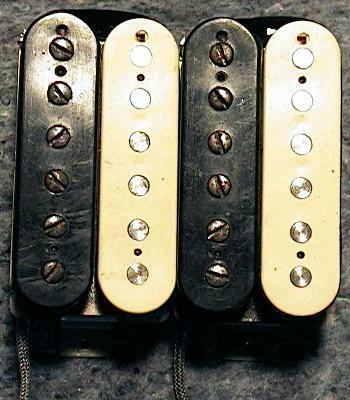 I would recommend that if you find the sound of these unsatisfactory and you don’t want to blow the budget to replace the pickups with DiMarzio or Seymour Duncans if you wish, but we will come to that later. Or pick up a Fat Strat. In any case, these choices are all down to you. That’s all for now. Hope this has been enough information for you. Eddie is a guitar collector just as much as a guitar player. On the second from right is his Frankenstrat going through a transition phase. 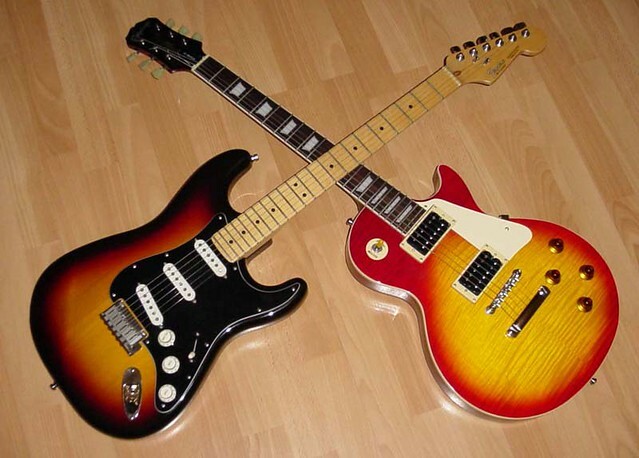 This entry was posted in Guitar, Music, Rock and tagged Eddie Van Halen, Electric Guitar, Eric Clapton, Fender, Floyd Rose, Gear, Gibson Les Paul, HSS, Les Paul Axcess, Stratocaster, Van Halen on September 9, 2014 by chrisairey01.